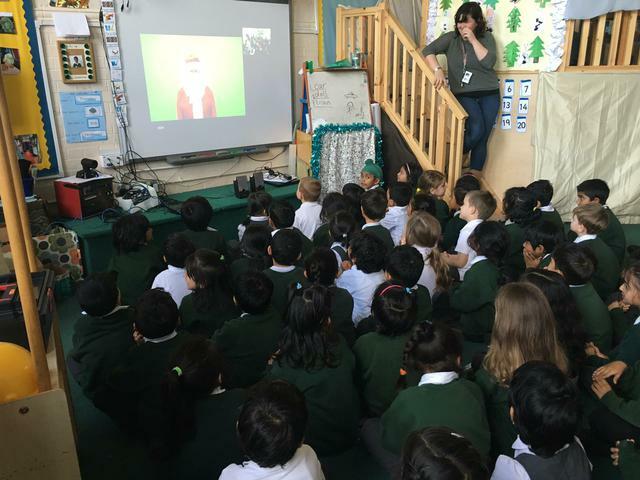 In the run up to Christmas, Reception had a very special visitor all the way from New York via a video conference. That's right, Father Christmas stopped by to answer some of the children's questions and explain his job. The Reception children listened beautifully and controlled their excitement really well. They all promised to be good children and in turn Santa promised that he would deliver a gift. Our choir had the opportunity to sing to Manhattan School of Music and have their performance professionally judged by one of the MSoMs professors. 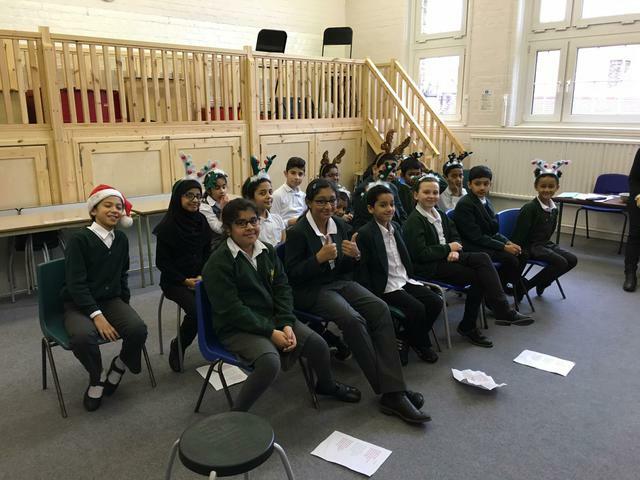 We were grouped with 3 other Redbridge Schools and we were given the Christmas Carol - Silent Night. Each school sang their carol really well and Simon Cowell must be close to coming to the Redbridge area to take some of our children onto the X-Factor. Our rendition was sung beautifully (in acapella) and again shows just how much we (Highlands) value so many different areas of the school curriculum. Thanks again to the Choir Teachers - Mrs Owen, Miss Foster and Mrs. Targett-Adams - who got the children ready for this great performance and I can't wait to hear more from the Choir in the coming months.